Maharashtra State alleges that Avni has killed 13 humans in the past 2 years. Seven of the 13 killings had cattle next to the bodies of the human victims, which indicates that uncontrolled grazing could be a reason for the killings. 10 of the 13 killings happened on Saturday-Sunday, which cast a doubt why a “man-eater” would only decide to kill on weekends. DNA test was done only on 3 of the 13 victim bodies, and only ONE contained a tigress’ DNA! All these data points and ambiguities cast serious aspersions on Avni’s involvement in human killings. Courts had stayed an earlier shoot order for Avni based on these irregularities. THE THREAT: Owing to pressure from the District Administration, Forest Department, and the Ministry of Forest, Maharashtra State, the State Forest Department has issued a fresh ‘shoot to kill’ order in the name of Avni. The order itself is very ambiguous, as it orders to “tranquilize and capture Avni” in one place, and “shoot to kill Avni if she can’t be captured” in another place. Courts have now ratified this order after three successive killings in August 2018, which strangely happened after a long gap of more than 6 months. Avni’s killing would eventually result in the death of her two cubs too, as they are both too young to hunt and survive on their own. And the state would, as a next step, hunt down Avni’s mate, the male tiger T-2, the father of the cubs. (d) mobilise support from across the globe to save Avni and her cubs’ lives. (1) Pass strong orders to immediately stop all illegal activities – contractual grazing of livestock, encroachment, illegal expansions and construction in Pandharkawada Forest Range. (3) Press for an investigation into the State Forest and Wildlife Department’s order that deploys a private hunter to shoot down India’s National Animal. For those of us that have spent a lot of time in the world of “internet language” the number 404 means one thing, an error. There are multiple ways to fix the error like refreshing the page, checking to make sure the url is formatted correctly or checking for malware. Deep in the jungle of Way Kambas National Park in Sumatra, Indonesia, a team of park rangers and IRF-funded Rhino Protection Units searched the forest and apprehended nine illegal loggers operating in the park, destroying precious habitat for rhinos, tigers, elephants, and tapirs. Meanwhile, half a world away, in Zimbabwe’s Lowveld region, another IRF-funded team of rhino monitors, airplane and helicopter pilots, and wildlife veterinarians began an operation to implant radio tracking devices in black rhinos’ horns, to more effectively monitor the rhinos and protect them from organized, heavily-armed gangs of poachers killing rhinos throughout southern Africa.These two very different rhino operations took place thousands of miles apart, in completely different environments, but they had one very important thing in common – each required a dedicated team of people working in partnership to protect rhinos and their habitats. It’s perfectly fine to convict non-violent animal activists under a law intended for “terrorists,” — at least, according to the 7th Circuit Court of Appeals, which upheld the convictions of two men who freed minks from a fur farm. 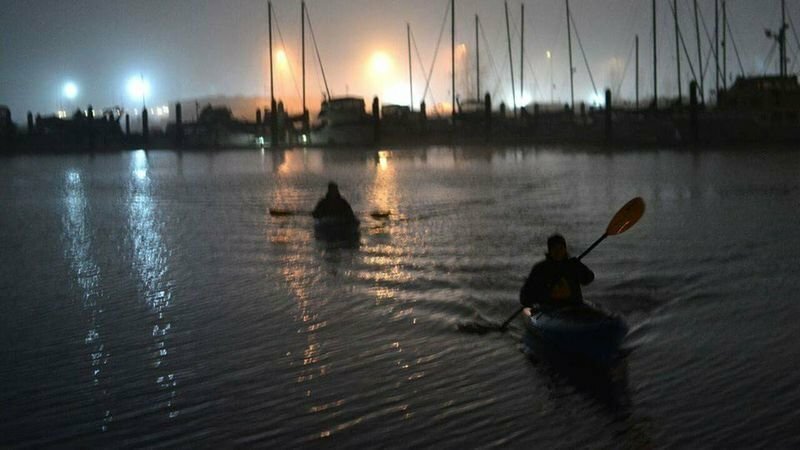 Tyler Lang and Kevin Johnson set out one night in August 2013 to do something many of us would view as a good deed — or at least a kind one. 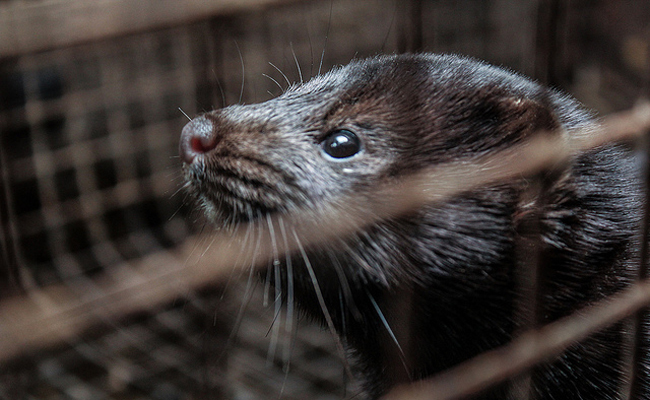 They wanted to free thousands of minks held captive on a fur farm in Morris, Illinois. And they actually succeeded. They released approximately 2,000 minks from their cages, destroyed the minks’ breeding cards — required for sale to furriers — poured caustic substances over two farm vehicles and spray-painted “Liberation is Love” on the wall of a barn. All told, they caused between $120,000 and $200,000 worth of damage. Admittedly, these actions included a few crimes and went further than just letting the animals loose. Lang and Johnson were convicted under the Animal Enterprise Terrorism Act, a 2006 federal law that many call “Green Scare” legislation. It’s supposedly aimed at dark and dangerous underground activist crimes like arson and bombing, but is that how it’s now being used? The AETA targets animal riists, criminalizing First Amendment protected speech and advocacy, including protests, boycotts, picketing, and whistleblowing. Yet, while the law is aimed at stifling animal rights activism, its language is so broad and vague it could be used to prosecute labor activists who organize a successful boycott of Wal-Mart or union members who picket a university cafeteria, because both sell animal products. What exactly is “intimidation”? What are “threats”? These are words easily bandied about and could be conveniently used by means of discriminatory enforcement to thwart the otherwise legal actions of animal protestors and activists. That’s not to say that what Lang and Johnson did was legal. It was, among other things, trespass and vandalism — and I’m sure they knew it — but there are already laws on the books to deal with such crimes. The problem with AETA is pigeonholing this type of crime as “terrorism.” We all live in this dangerous world. Most of us know terrorism when we see it. Freeing innocent animals from a fur farm while engaging in a bit of property damage isn’t what comes to mind. Sure, it’s illegal activity, and so is stealing eggs from Kroger or a truckload of frozen hamburgers from your neighborhood Burger King. Those latter crimes don’t merit a prosecution under AETA, though arguably they could if an animal activist committed them. They represent, after all, “the loss of profits…resulting from…trespass… taken against an entity…” See how the law could be manipulated to make any animal activist-related crime a form of terrorism? That’s not how laws are supposed to work. Animal rights activists commonly seek to publicize the horrific treatment of animals at certain businesses and organize community campaigns in opposition to such treatment. Such businesses are certainly ‘animal enterprises.’ Publicizing and community organizing inevitably involves the use of a facility of interstate commerce; and activists have the intent of ‘damaging’ or interfering with corporations’ operations – the purpose of their advocacy is to cause businesses to suffer economically and be forced either to change their practices or to cease doing business entirely because of public outrage. Why do authorities pursue animal activists under AETA? That’s easy. Big businesses like the American Meat Institute, National Milk Producers Federation and the Fur Commission USA pushed hard to pass the legislation. They fear the results that animal activists can achieve, and they had to do something about it. Oh, I guess Lang and Johnson should feel better about that? It’s all good, said the court, because Lang and Johnson won’t be required to register as “terrorists” or be subject to any sentence enhancement based on having committed a terrorist act. Will there be a further appeal? That remains to be seen, but we can hope CCR, Lang and Johnson will try. It’s ridiculous for a court to assert that it hasn’t forever branded these two young men as “terrorists.” They certainly have. It’s a conviction under a law that everyone calls the Animal Enterprise Terrorism Act. AETA is meant to instill fear in animal activists everywhere. And after this case, it will continue to do so. Many activists aren’t afraid to risk jail for their cause, but being unofficially branded a terrorist will be a bridge too far for some. I don’t blame them a bit for that fear. The sale is part of the 2000+ acre Goose Project in the Willamette National Forest just a few miles from McKenzie Bridge. Logging began on October 16. Animal abusers are currently protected under a potentially unconstitutional law in Iowa that prohibits animal rights advocates and employees from filming or photographing unsafe or inhumane conditions on factory farms. Sign this petition to challenge the agricultural industry’s desire to keep potential abuse out of the public eye and demand that this law be overturned. Animal rights and environmental issues need all the publicity they can get – and we can all agree that to get it, it is seriously helpful to have some celebrities on deck. 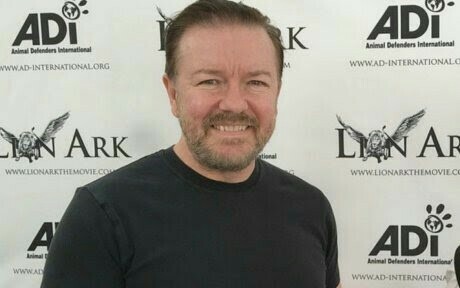 British comedian Ricky Gervais has been a long-time advocate for animals, promoting adoption, donating money, and criticizing cruel practices, all of which generate a lot of interest in and conversation around the topics. 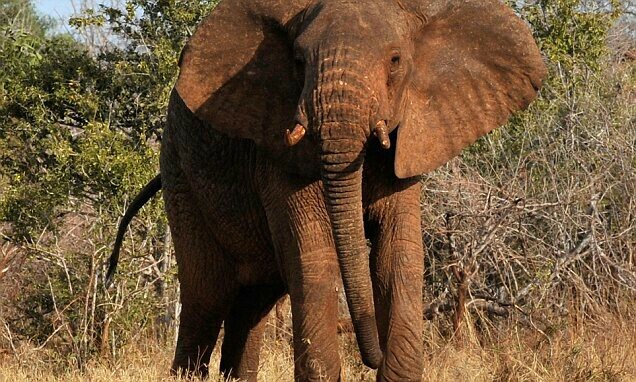 This time, he has targeted the practice of trophy hunting – and shared what he thinks about it in no uncertain terms. 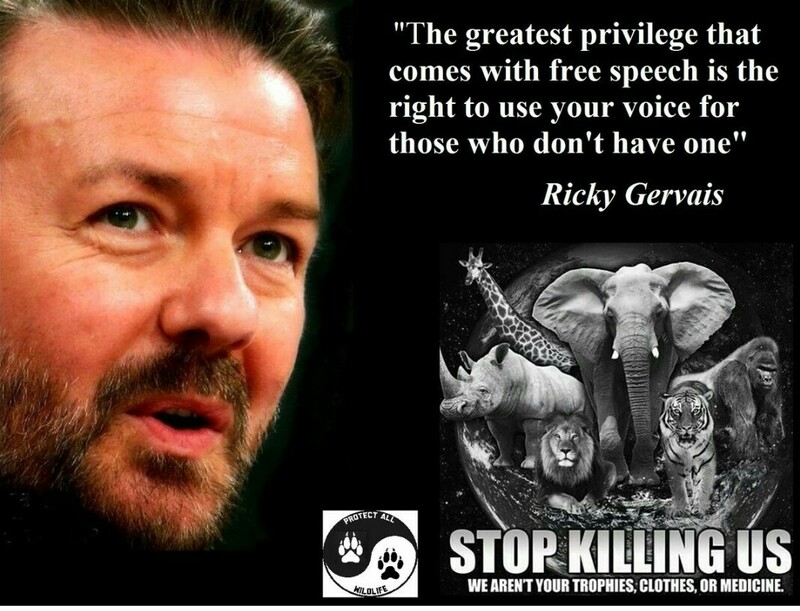 Gervais calling out trophy hunters is not a novelty, however – in a recent post on his Facebook page, he inserted a screenshot of a post on the subject written in 2015. Unfortunately, not much has changed in the matter since then and the critique Gervais made in the post still holds true today. 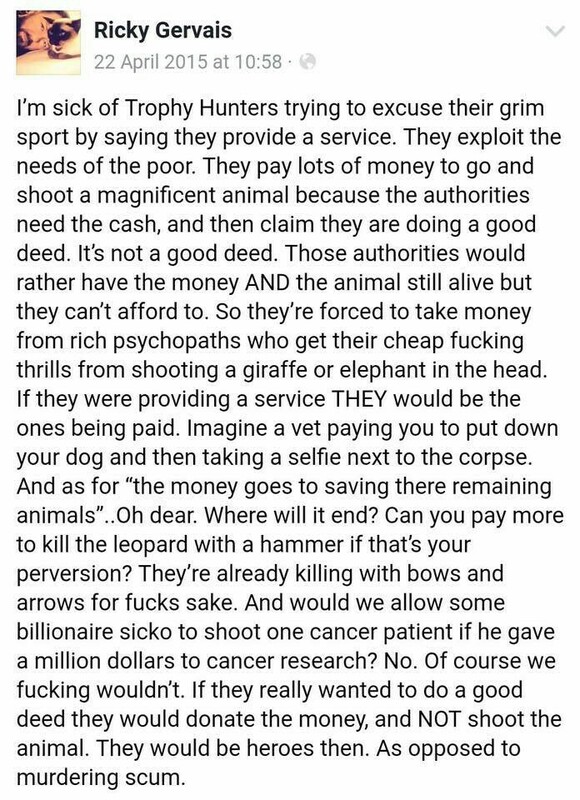 Captioned “My thoughts on Trophy Hunting,” the post is a reminder that the issue of this bloody practice is still very much relevant – and Gervais’s words are not at all subtle. Gervais especially points out the controversial financial aspects of trophy hunting and underlines how hunters claiming that they “provide a service” to communities where they hunt actually just exploit impoverished communities that have no choice but to accept their offers. Parading as conservation, trophy hunting is a cruel pseudo-sport which has a number of seriously detrimental effects, among them the harm to the overall populations of the hunted species. 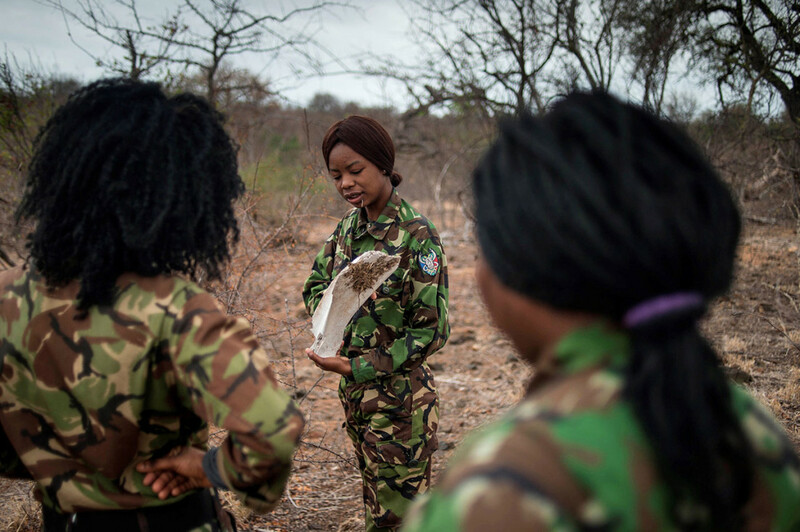 Curiously, killing animals in the name of conservation is something that a number of groups actually claim. 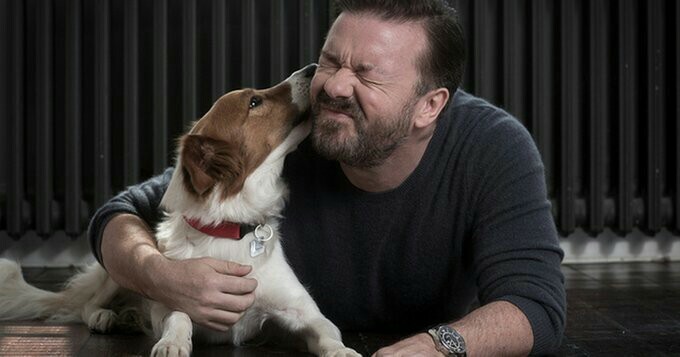 Gervais is, without a doubt, doing a great job as an animal advocate by making use of his platform in order to reach as wide an audience as possible and spread awareness and knowledge about important animal rights issues. Public figures speaking out on the matters cause not only a heightened interest in the topics but also help inform people that animal and environmental problems are something we really should think about and engage in solving. At the end of the day, it’s something we should all feel responsible for. Animals Don’t Have A Voice So You’ll NEVER Stop Hearing Mind!!! Please take the time to watch the video!! Water Protector tells about being shot in the eye near Standing Rock. The shot is believed to have been fired by Bismarck ND police. 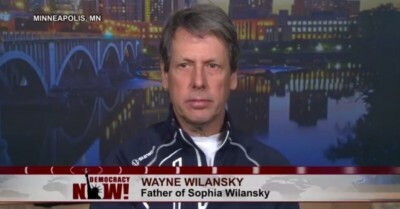 They accused him of resisting arrest when he was coming in and out of consciousness from blood loss and pain. An officer from the Morton County Sheriff’s officer laughed at the injury, shocking the paramedic. Watch the video and read the statements below. On the morning of January 19, 2017, the day before Trump’s inauguration, I was shot in my left eye by police at the Backwater Bridge on Highway 1806 just north of the Oceti Oyate Camp outside of Cannonball, ND. The impact from a “non-lethal bean bag round” shattered my cheek bone and orbital wall next to my eye, resulting in loss of my vision, hearing, sense of smell, taste, and touch on the left side of my face. Canada Goose continues to lie and avoid questions about its cruelly produced fur products. Watch Justin Long confront the company. 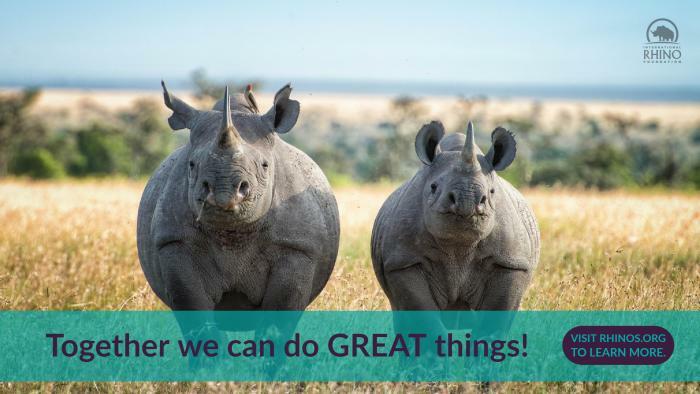 Than scroll down to take action…. 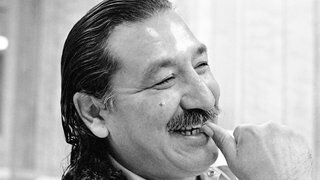 So he dusted off his gear and joined the thousands of vets who gathered from around the country to support the anti-Dakota Access Pipeline movement in North Dakota, many of them Native themselves. When the Army Corps of Engineers announced they would look for other pipeline routes on Dec. 4, vets like Vickers were there to stand in solidarity with the Sioux. Watch the video above to hear more from Vickers and other veterans. Read our coverage of Standing Rock. This video was produced by Ralph King, a former Wall Street Journal reporter turned independent documentary filmmaker based in the San Francisco area. Standing Rock water protectors are responding to North Dakota governor Jack Dalrymple’s ordered to immediately evacuate the main encampment opposing the Dakota Access pipeline. 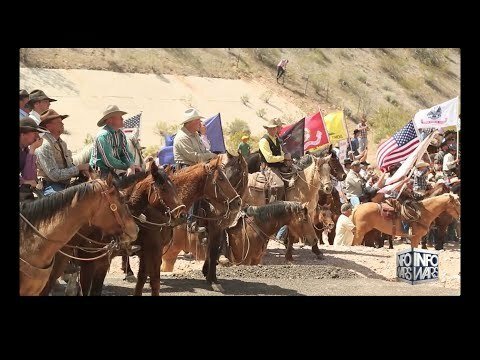 In the following video, Dallas Goldtooth from the Indigenous Environmental Network and other representatives at the Sacred Stone camp respond to the evacuation order and engage in a question and answer session. “Today, Gov. Dalrymple issued an executive order calling for mandatory evacuation of all campers located on U.S. Army Corps of Engineers (USACE) lands, also known as the Oceti Sakowin camp. This state executive order is a menacing action meant to cause fear, and is a blatant attempt by the state and local officials to usurp and circumvent federal authority. The USACE has clearly stated that it does not intend to forcibly remove campers from federal property. The Governor cites harsh weather conditions and the threat to human life. As I have stated previously, the most dangerous thing we can do is force well-situated campers from their shelters and into the cold. If the true concern is for public safety than the Governor should clear the blockade and the county law enforcement should cease all use of flash grenades, high-pressure water cannons in freezing temperatures, dog kennels for temporary human jails, and any harmful weaponry against human beings.